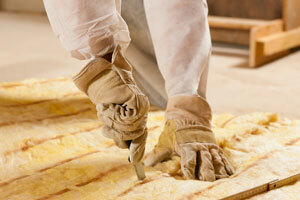 Is the attic insulation (or lack thereof) in your Louisville, KY, home driving up your monthly energy bills? If you notice a significant change in your household’s energy consumption as the weather turns from warm to chilly and vice versa, then you may benefit from enhancing your home’s insulation. If you need assistance choosing the best type of attic insulation for your home, turn to the experts at 31-W Insulation. And, you can rest assured that you’re making a sound investment because we only utilize tried and true attic insulation products from some of the industry’s leading manufacturers, including Owens Corning™ and CertainTeed. Contact us to schedule a complimentary in-home consultation for your next home improvement project in Louisville, Kentucky. We’re proud to offer an assortment of home remodeling services, including the installation of attic insulation, garage door systems, custom closets, and more.